However, unlike most Americans, Razer has a different idea of celebrating Thanksgiving. Instead of taking the day off work and spending the whole day eating from dawn till dusk, Razer decides that Thanksgiving is the day to unveil one of their finest, most premium headphones they’ve ever built. That pair of headphones my friends, is the Razer Kraken Forged Edition. 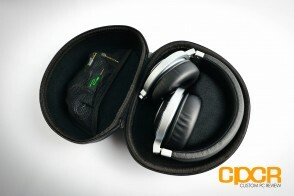 Handcrafted in the deep, dark depths of… China, constructed of aircraft grade aluminum, and tuned by Razer’s finest sound engineers, the Kraken is Razer’s first and most daring leap into the enthusiast audio market and luckily, we were given the opportunity to be one of the first to review this ultimate new product. Ready to see how it fared? Flip the page to find out! 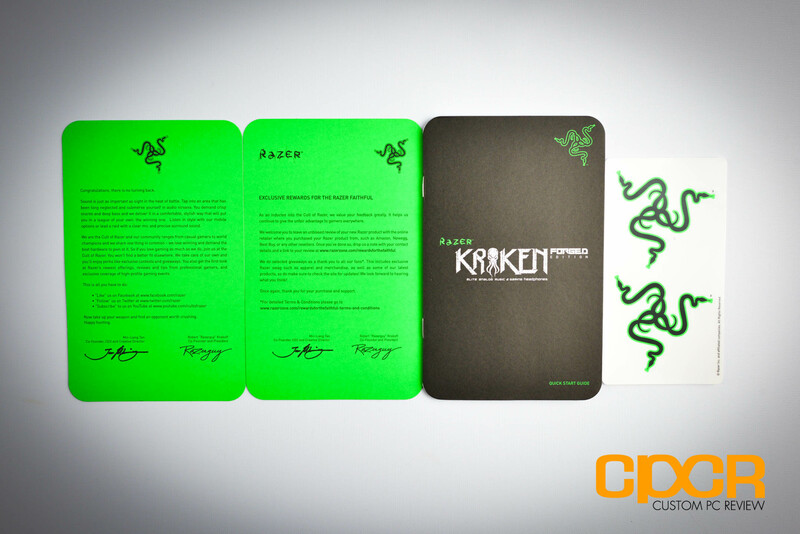 Here’s a look at the Razer Kraken Forged Edition’s packaging. As a Razer Elite product, the Kraken Forged Edition gets some special treatment here as the headphones deviate from the usual green/black color scheme typically found on all Razer products. 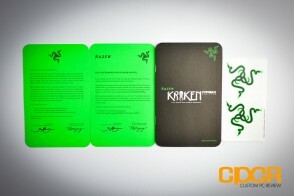 First thing we get in the packaging is the documentation, some Razer stickers, and this interesting carrying pouch. What could be inside? Well, you’ve probably guessed it, but you’ve probably missed a couple things as well. Included we get a 2.5mm to 3.5mm audio only cable, a 2.5mm to 3.5mm audio cable with inline microphone, and a 3.5mm to 1/4″ adapter. 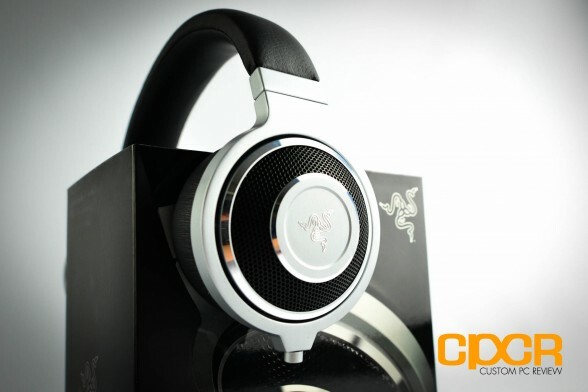 Of course, we also get a perfectly fitting, folded up Razer Kraken Forged Edition as well. Curiously, Razer has not included any sort of adapter that converts the 3.5mm connector to dual 3.5mm headphone/microphone, so it definitely seems like Razer is marketing the headphones to the high end enthusiast audio crowd rather than the average gamer. Seems like a mistake given that most of Razer’s fanbase is gamers. Alright, so before we move on, let’s just take a moment to just look at how beautiful this headset is. It’s simply one of the most stunning products I’ve ever seen from Razer, and to be perfectly honest, it’s almost a work of art rather than a pair of headphones. Not only is the whole headset pretty much built from aluminum, the adjustable headband is also built from metal (either aluminum or steel). The metal piece here is extremely sturdy with a thickness of 0.2mm. At the top of the Kraken Forged Edition, we get a leatherette headband which pretty much wraps around the entire top of the unit. There’s plenty of padding here, but there could definitely be more. The entire headband is constructed of the same aluminum as the rest of the headphones and the headphones weigh a staggering 390 grams (0.86 lbs). 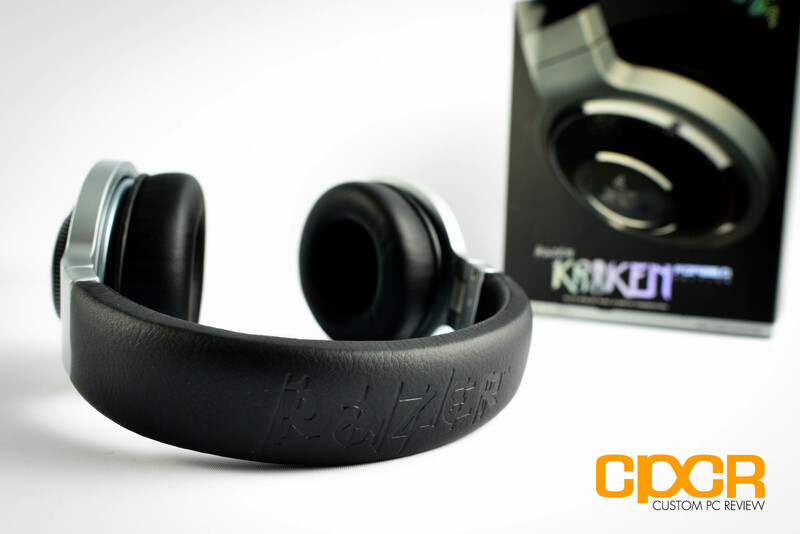 Like most products in the Kraken series, the Kraken Forged Edition uses thick leatherette earcups which provide a nice, comfortable seal around your ear. The earcups are reasonably wide and are extremely deep, so it should be quite comfortable for the majority of users. Removing the leatherette earpads, we can take a look at the drivers underneath. 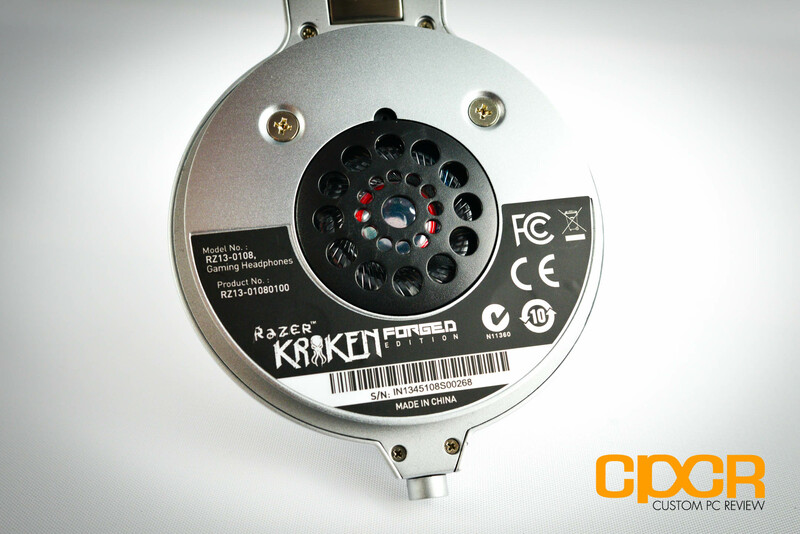 Razer claims that the Kraken Forged Edition is “hand assembled” for perfection, but it seems like they had to save some money somewhere as it’s hand assembled in China. 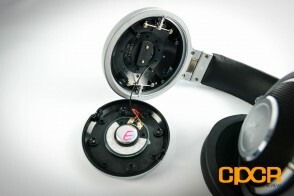 That said, the sample I have is definitely at the level of build quality this premium pair of headphones need to be. Razer is using 40mm neodymium drivers, which is pretty similar to what they’re using in other Kraken models. 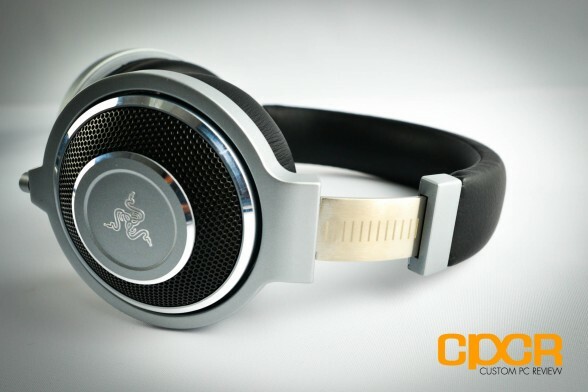 Razer claims that the drivers on the Kraken Forged Edition are specially tuned by Razer engineers to produce the most powerful “booming bass, clear mids and crisp highs”. Removing the driver unit we can take a look at the driver housing inside. Nothing special here although we can see that it’s mysteriously branded with “Twinkle Metal”. Not quite sure if that’s the supplier or whatnot for Razer, but it seems to be important enough to be engraved right into the driver housing. 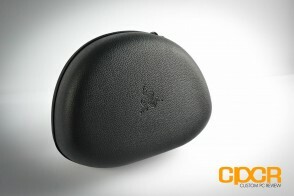 At the bottom of the left earcup, Razer also has a small, notched 2.5mm audio in port. For some reason Razer decided to go with a proprietary connector on the headphones, which is a bit strange. That said, the nice thing about this unique port is that once the cable is plugged into the headphones, it’s extremely secure. On the flipside, if you lose the cable, you’ll probably have to get a replacement from Razer. Alright, since there aren’t any LEDs built into the headset or any audio processing software onboard, let’s go ahead and plug the headphones in for some testing. Generally with Razer products I tend to spend the majority of my time testing headsets by playing games however, with the Forged Edition I decided the best way to test these headphones was to do some critical listening with a variety of different music. By including a 3.5mm to 1/4″ adapter and not including a 3.5mm to dual 3.5mm headphone/3.5mm microphone jack, Razer is definitely marketing the Kraken Forged Edition to audio enthusiasts and DJs. That said, I started off testing with a variety of different music including hip hop, top 40’s, EDM, soundtrack, and even country. After spending a considerable amount of time listening to the Kraken Forged Edition, it was extremely obvious that Razer has really, really tuned these things to really, really favor a lot of bass. 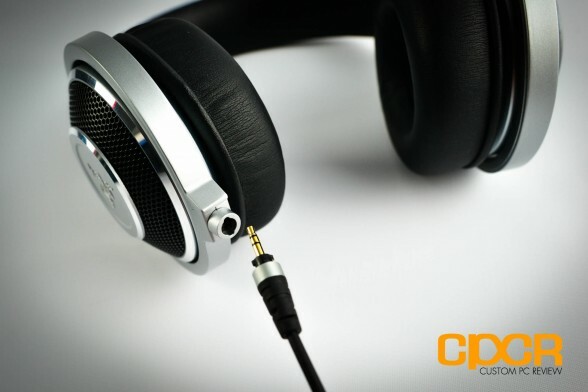 Whereas hip top/EDM tracks such as Bingo Players ft. Far East Movement’s Get Up sound extremely good with the Kraken Forged Edition, other music genres such as classical, vocals and soundtrack sound quite poor. With music that really favors the highs and the mids, the Kraken Forged Edition artificially gives them a boost in the lows, which distorts and muddies the audio especially when compared side by side to headphones or speakers that are more neutral. For movie testing, I watched a number of scenes from the newly released Red 2. Red 2 packs an incredible Dolby Digital 2.0 audio track along with a near flawless DTS-HD Master Audio 7.1 audio track, which was actually very well suited for the Kraken Forged Edition. Although voices sounded slightly distorted due to the higher than usual bass response artificially added by the Kraken Forged Edition, the enhanced bass characteristics of the headphones really excelled in the rest of the movie. With the number of explosions that occurred in the movie, the headphones were able to create a level of immersion that you simply can’t find on most other, more neutral oriented headphones that simply play bass as a low end sound rather than a physical, skull rumbling feeling. Of course as usual, I also spent a good amount of time playing some games – namely the newly released Battlefield 4 on the Kraken Forged Edition and to be honest I think the Kraken Forged Edition is best suited here. Whereas other headphones and headsets simply create the sound of a vehicle exploding nearby or the sound of a cannon firing, the Kraken Forged Edition is able to get that nice rumble that really immerses you into the game. Additionally, the Kraken Forged Edition works quite well with Razer’s Surround software, which already has preset profiles for the similar Kraken Pro. Too bad there’s no integrated microphone or any way of connecting that in-line microphone to the PC. Could be a great gaming headset. Finally, I also tested the microphone’s performance on Skype and overall I was told that the audio quality is decent for a VoIP or conversation microphone. It’s definitely not at the level of quality you’d find on a condenser microphone such as the Audio Technica AT2020 I generally use for voice recording, but the sound was clean and there was very little static. That said, I was only able to test the microphone on my iPhone 5 as Razer does not include any sort of adapter that would allow the use of a microphone on a PC without the microphone/headphone combo ports. Alright, so first things first. I definitely wanted to say that the Kraken Forged Edition is possibly the best looking pair of headphones on the market. There simply aren’t that many products quite like it, even from companies that generally sell high end, audiophile grade audio products. The fit and finish is bar none and the entire unit feels 100% solid. Unfortunately it’s not something we see every day from Razer and it’s great to see that they’ll go way above and beyond… for a price. Audio quality on the Kraken Forged Edition unfortunately seems to come directly from Dr. Dre’s playbook. 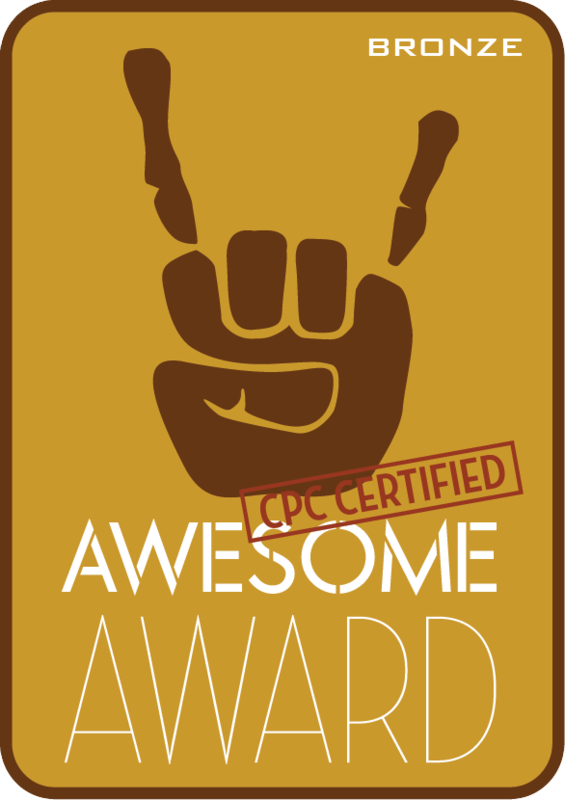 For some it could be an awesome thing and for others, well not so much. 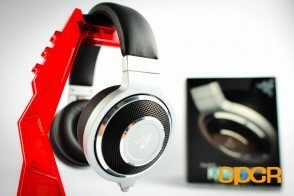 The bass response on the Kraken Forged Edition is extremely powerful and on some genres of music, is way overpowering. Those predominantly listening to hip hop or EDM will probably enjoy these headphones while those who predominantly enjoy vocal heavy music with light instruments will find that the Kraken Forged Edition is way too heavy handed on the bass. 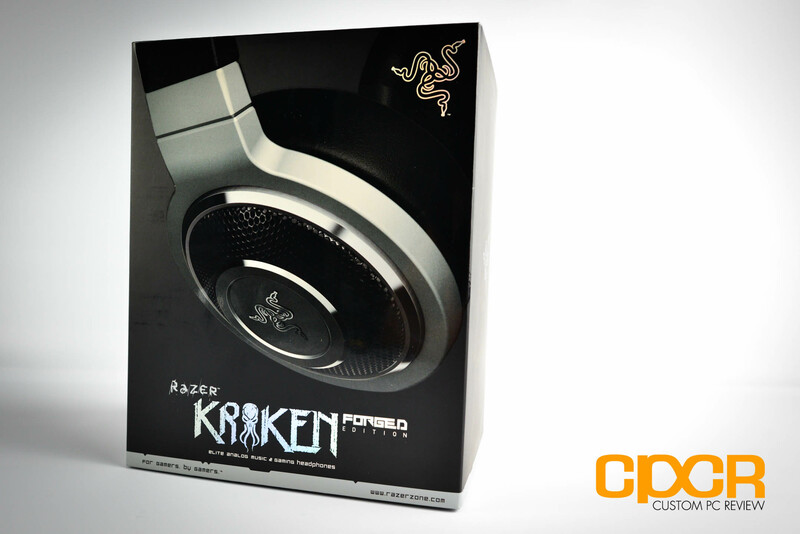 In movies and gaming, the Kraken Forged Edition performs quite well, especially for those who enjoy the action, battle and war games/movies. Despite the headphones being a 2.0 pair of headphones, the Kraken Forged Edition sound and feel almost a bit like the Tiamat 2.2’s – and those actually had separate drivers for the subwoofer. 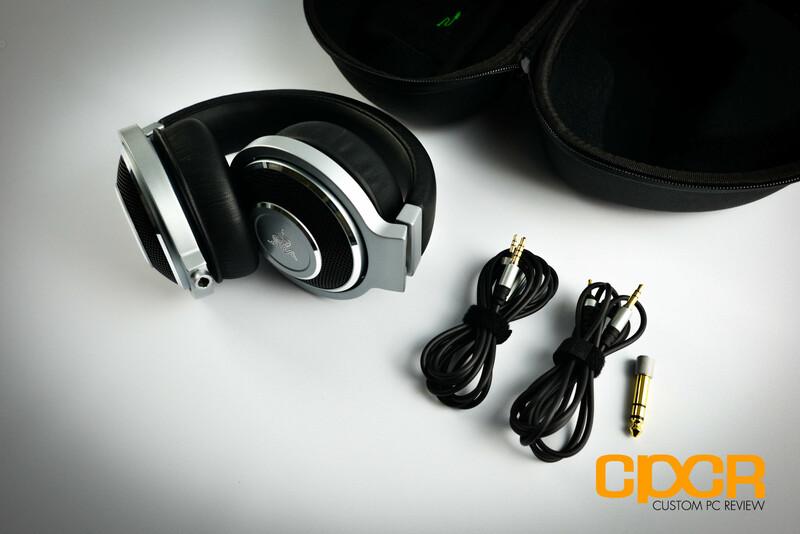 As for comfort, the Razer Kraken Forged Edition is quite comfortable for short periods of time, but those who want to wear the headphones for longer periods of time may feel some discomfort. 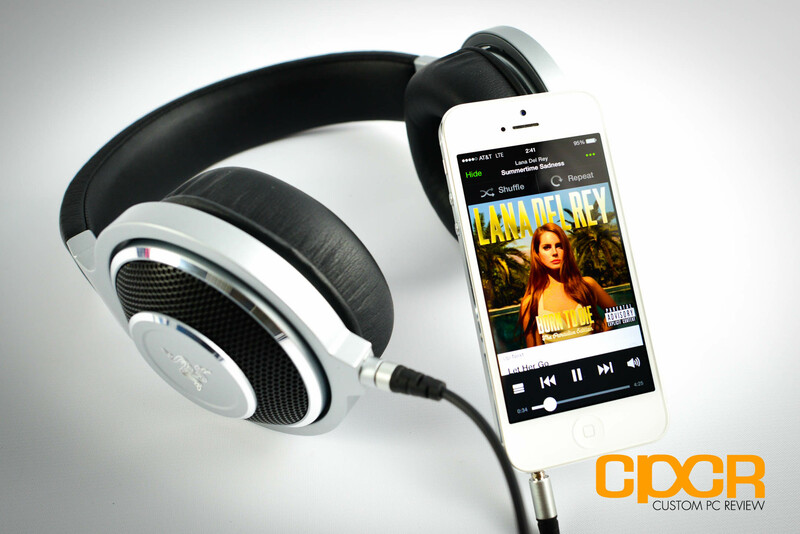 The earpads are made of very thick leatherette, which allows your ears to fit inside quite easily and it provides a ton of cushion between your head and the cold hard aluminum. Also since the earpads are sufficiently thick, those with glasses won’t have any issues, which is good. 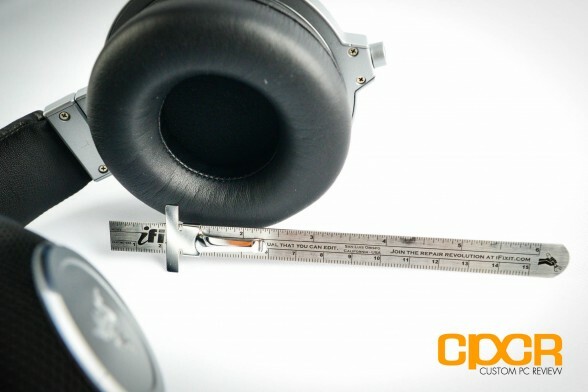 However, all of the ultra durable materials used on the headphones does come at a cost of weight with the Kraken Forged Edition coming in at nearly 0.86 lbs. Because of this, the headphones feel extremely heavy on your head and does tire out your neck after several hours of use. 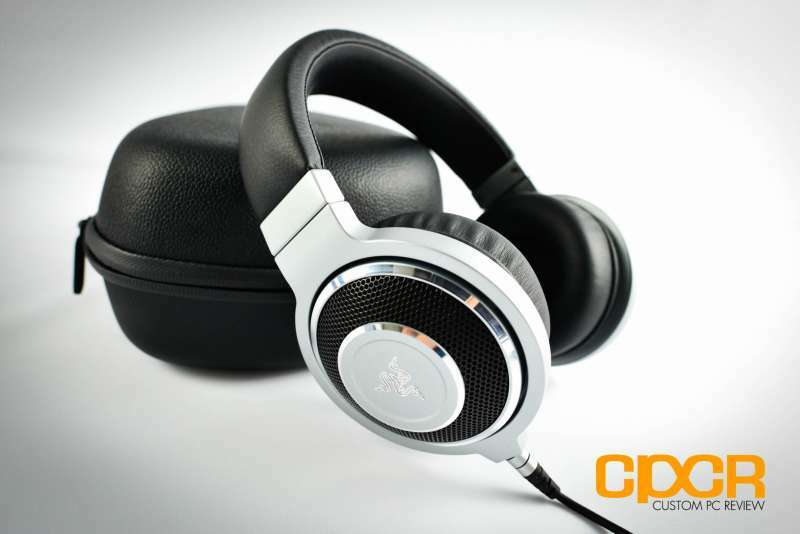 It’s pretty obvious that the Razer Kraken Forged Edition is a premium pair of headphones and as such, it commands a very premium pricetag of $299.99. Razer is obviously trying to get into that ultra premium consumer headphones market created by the Beats by Dre line of headphones and I think the Kraken Forged Edition is a decent entry although sound quality is a huge miss at this pricepoint. Those looking for pristine, unaltered audio quality will easily, easily do better with a similarly (or even much lower) priced pair of Beyerdynamics, Sennheisers,or Audio Technicas, but if you’re a Razer fan it’s not everyday you get a chance to get a pair of headphones constructed almost completely of aluminum. If ultra heavy bass, awesome looks and amazing build quality appeals to you and you’re prepared to drop $300 without a second thought, then the Kraken Forged Edition might just be what you’ve looking for.